I have to admit, until recently composting was little more than what my parents used to do when I was a kid. It was a bin they tossed everything into it, and then worked it into the soil before planting the vegetable garden each spring. Fast forward 25 years and I’m finally a homeowner and decided to put in my own vegetable garden. Except adding in ‘organic’ material to the soil was a darn expensive job when purchasing from the store, so I decided to skip that part. Not the best idea I’ve ever had. The garden produced, but not as well as I would have liked, so the DIY-er in me decided to get busy and figure out why I should jump on the composting train. 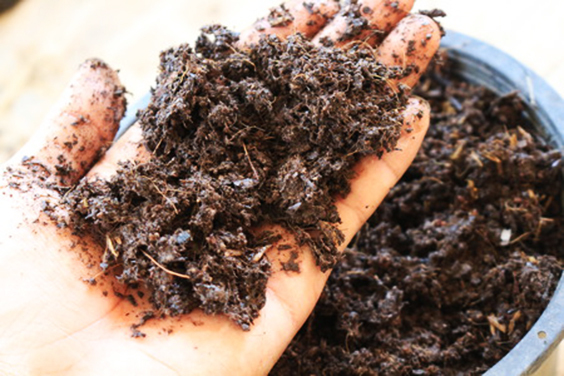 Compost supplements your otherwise tired soils and helps create a well-rounded, healthy environment for your plants. 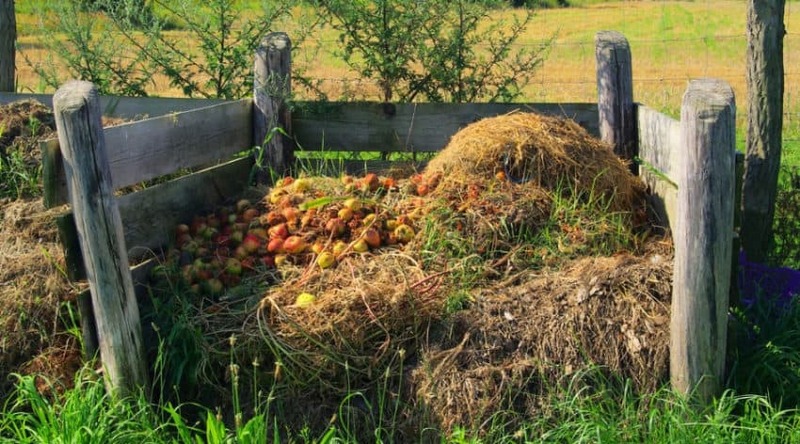 Read on for an extensive list of what, exactly, the benefits of home composting are. 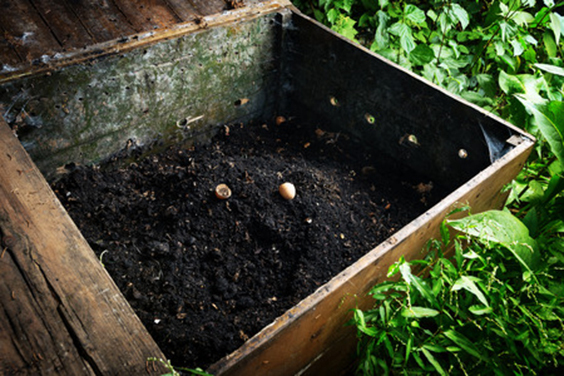 *You might also like: Our reviews of composters here. 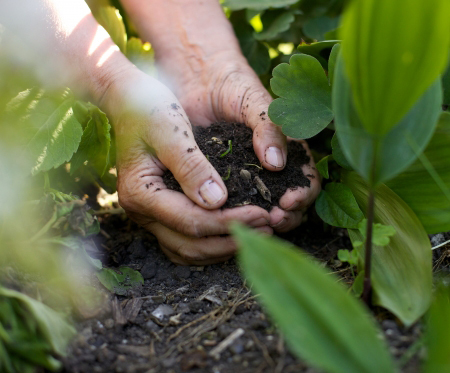 How Do You Add Compost to Soil? 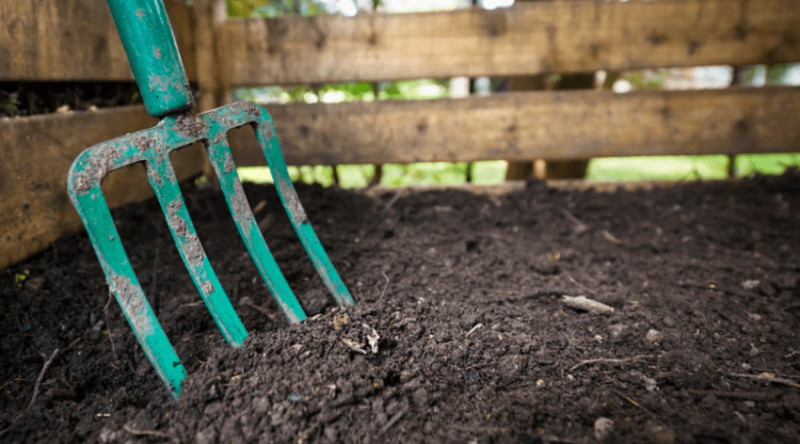 Called ‘Black Gold’ by gardeners everywhere, compost is a dark, rich mixture of freshly decomposed organic matter that used to be your yard, kitchen, and food wastes. In a natural environment, decomposition, the process of the breakdown of living plant and animal tissues with the help of living decomposers (such as microbes, bacteria, and worms), can take years to produce a top layer of rich soils; but with the correct techniques, you can speed this process up in your own backyard to create a valuable mixture for use in your own yard and garden. 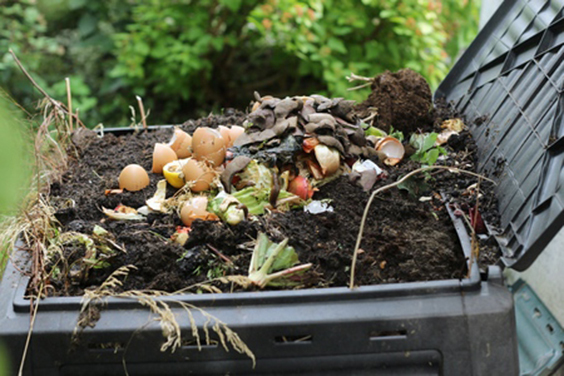 Composting is also a great way to recycle all those unused food scraps, eggshells, coffee grounds, grass clippings, tree trimmings, or what ever else you can think of that breaks down with a little biological help. A lot of people think fertilizers take care of all the nutrients a plant needs when used regularly. But this is far from true, and besides, fertilizers, although a help most certainly, are still occasionally chemically based and are used most often to feed fast growing plants. They also aren’t as soil friendly – and throw the soils chemistry out of balance at times. 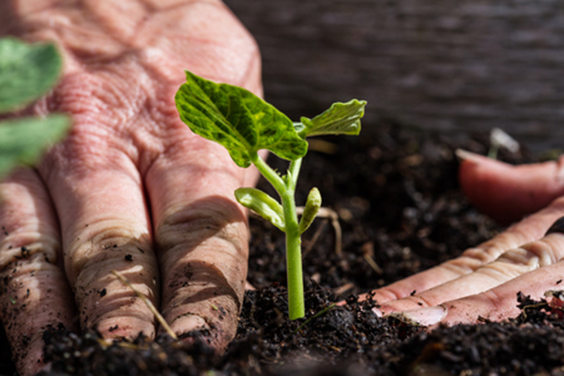 Compost not only provides nutrients to your soils, but it has a variety of other benefits for the health of your plants, and the longevity of your soils themselves to make them a more productive part of the vegetative equation. Compost can be store bought, as I discovered and turned away from, or it can be made in your backyard with very little effort and a minimum of cost to get started. I prefer my own compost since it’s the investment that keeps on giving from one planting season to the next. 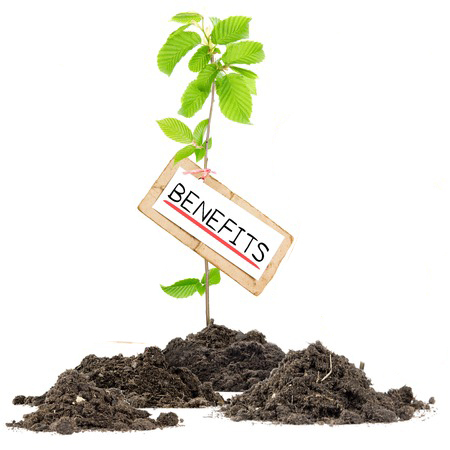 And the economic benefits of composting compound year after year in both produce, and aesthetic garden value, are never ending. The finished product is a dark and crumbly, earth-like substance with a sweet smell that will aide in chemical structure, moisture retention, nutrient production, and helps to guard against disease- to name just a few perks. Ideally you want to add a compost that helps neutralize your soils when you mix it in. Depending on what organic substances you add into your composting bin, you could have a more alkaline or a more acidic mix. To test both your garden soils and compost, use a pH test kit. 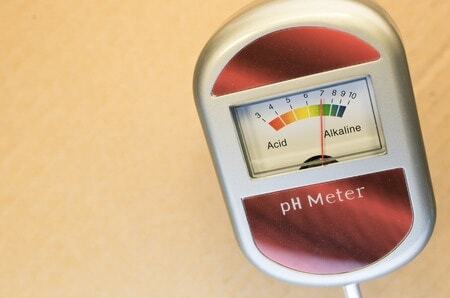 A neutral pH is 7.0, and to adjust your finished product, add in wood ash, or ground limestone to an acidic compost. To lower alkaline levels, you can use sphagnum peat, elemental sulfur, aluminum sulfate, or iron sulfate. Ideally you want a to try and produce a neutral compost to add into your yard soils. If you soils test high or low on the pH scale, simply apply the same methods described above to level it out. Occasionally certain vegetables or flowering plants enjoy a more acidic (such as astilbe and foxglove), or more alkaline (like thyme and yarrow) growing substrate. In this case, adjust accordingly. Bacteria, microbes, worms, fungi, insects, beetles, sowbugs, millipedes, and a myriad of other beneficial critters help break down your organic materials into compost. The larger creatures help aerate and mix, while castings (i.e. bug poop) enrich the compost even further. Composts almost always have these visitors that will stick around and further enrich your garden soils even after moving composts into your ideal locations. These critters munch, and chew, and defecate, and propagate all throughout your compost, stirring and mixing and creating exactly what you want and need to turn under into your soils to create a variable plant haven. In fact, without these inhabitants, you wouldn’t get much of your larger materials to break down at all. So when you turn over your compost and let it breathe, don’t be surprised to see a flurry of activity as they head for cover! Don’t freak out! This is EXACTLY what you want to see! As the above creatures burrow through and make a meal out of your discards, small organisms are moving into all the waste they leave behind. This is when many of the nutrients from your discarded wastes are converted into something the plants can absorb through the roots. These microbes and bacteria also continue the decomposition process and further degrade anything left behind, including many toxins that may be present. Some soil bacterias even produce antibodies (many of our antibiotics come from soils), and produce an antibiotic property to your compost. Therefore it isn’t odd to realize that this mixture can help protect plants against certain soil borne diseases. It pretty much goes without saying that anything organic mixed into worn out soils will increase the overall soil structure. 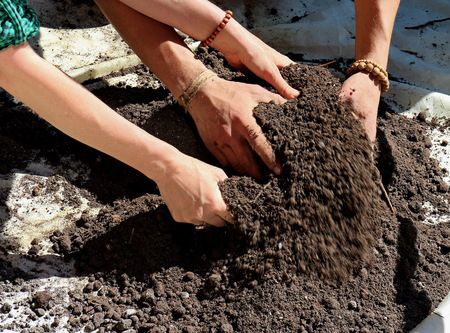 Inorganic soil compounds (sand, silt, and clay) combine with compost to form a balanced, healthy structure that is crumbly to the touch, and allows oxygen and water to flow through freely. A finished product is fluffy and light, is aggregated, and smells clean with no rotting or other decomposing smells present. This is how you know your product is ready to mix into your yard spaces. Be sure to use it only after you are certain it is ready as continuing decomposition of compost materials may compete with existing plants for nitrogen, and also cause more heat than is tolerated by germinating seeds. Nitrogen, phosphorus, and potassium are the essential building blocks of your plants and are found in abundance in a finished compost. In addition, and of even more importance, are the micronutrients found in the mix, such as manganese, copper, iron, and zinc. 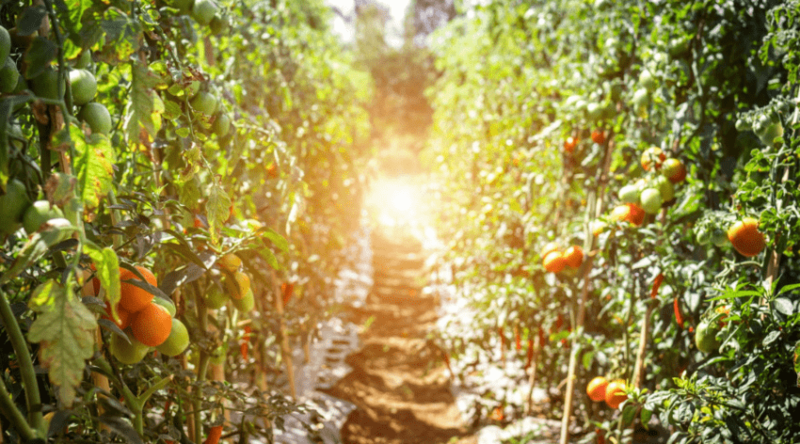 Even though these micronutrients are only needed in small doses, they play an important role in the plant’s ability to extract nutrients from other foods. Micronutrients are often missing from commercial fertilizers, so compost is basically a free nutrient boost for your plants. Also, because compost is comprised of so many materials, nutrients are released more slowly, allowing your plants to uptake food for a longer amount of time, rather than in quick doses like many fertilizers do. 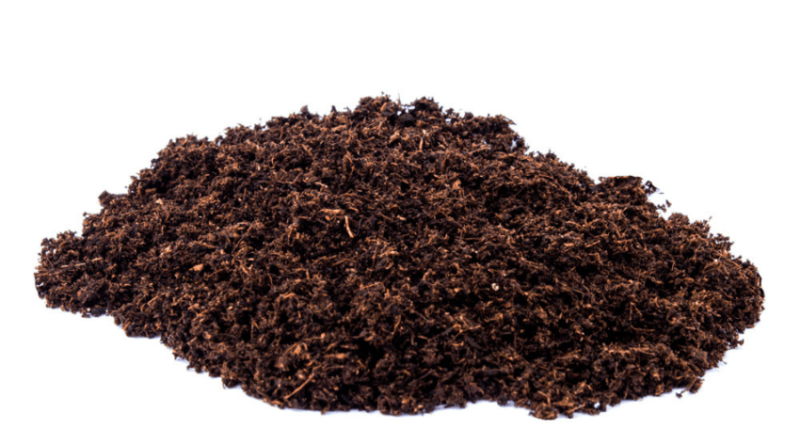 In fact, if everything decomposed at the same rate, compost wouldn’t be as popular as it is to add to your soils. 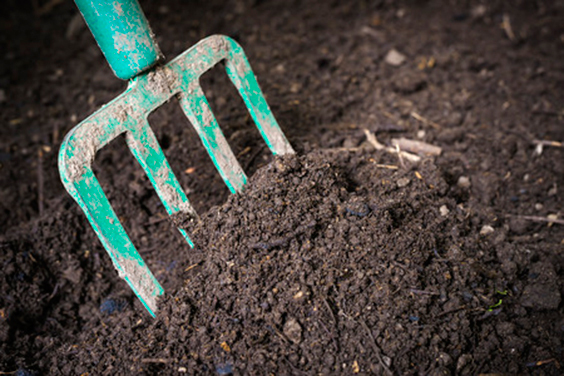 *Good to Know: What is Best to Use, Compost or Topsoil? As soils aggregate, or clump together, they help keep clay soils, a hard compacted soil type, loosened and more useful for plants as water can more readily move through it, utilize the nutrients found in it, and make it available for plants. The organic materials in compost also absorb moisture and allows roots to better utilize it as it does not drain easily, but still allows oxygen to move freely though to avoid ‘drowning’ the roots of a plant. Sandy soils also benefit from this addition immensely since water drains rapidly through sandy materials due to their large particle composition; but water will not easily drain from it once organic materials are included into the mix. Since water is life to vegetation, this is certainly something you want to have happening in your garden! 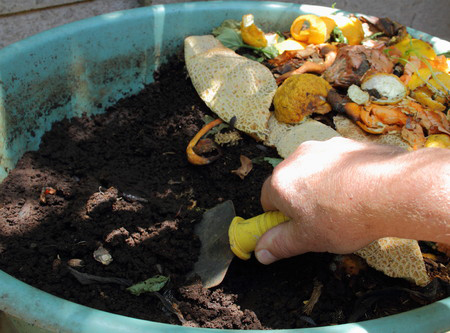 Compost can be added to your soils a variety of ways. The easiest way to add it is as a mulch over the top where it can work it’s way through the top layers of your soils over time. This is a good choice if you already have a well established garden and just need to be adding nutrients as a top dressing where it will work it’s way to the roots through waterings. Turning it down into your soils is an excellent choice if you are just establishing your garden and haven’t yet planted much. Working it through the top layers of your existing ground loosens, aerates, and improves the overall soil texture as explained above. I do this for my vegetable gardens each fall as I prepare the beds for winter. After I plant my seedlings in the spring I spread a top layer as mulch as well. This also helps to keep down weeds. Using it as a planting compound is also a great way to keep adding organic materials into the soil each year. 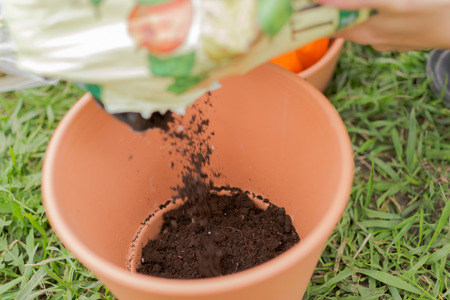 As you plant your seedlings, or young plants, fill the bottom of the hole with finished compost. This will give a burst of nutrients to your young plants, continue to feed the roots as they grow, and help keep water close to where it is needed to help soften the blow of planting shock. With a little elbow grease, and some budgeting, you can have your very own composting bin working away for you year round. But it doesn’t have to be only a personal thing. 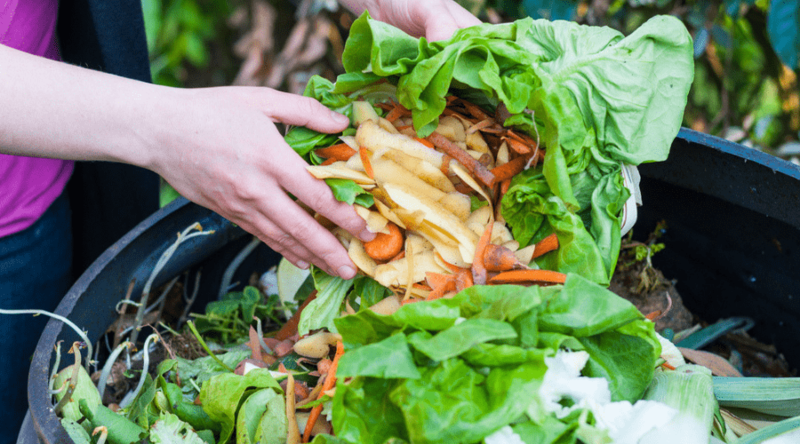 With all the movements towards urban farming and suburban community gardens to help improve the environment, why not start to recycle the neighborhood materials into a compost to share? 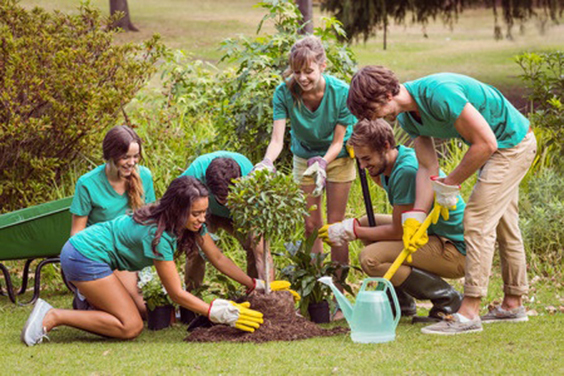 Gardening is great for your health, and furthering your human interaction is even more beneficial since social interactions lower blood pressure, improves your immune system, and makes your brain fire on all cylinders. Community composting is also a fabulous way to bring into schools an introduction to recycling, sustainability, self-sufficiency, the life cycle, and to just let kids get into the dirt: something they increasingly don’t do anymore on their own in this day of technology, but is a great way to get kids working together for a common goal. 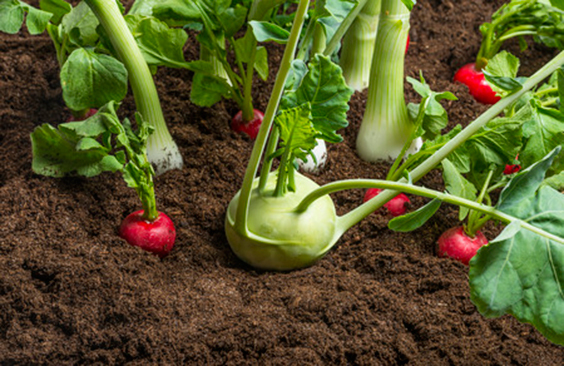 It doesn’t take a genius to figure that adding compost to your garden is a win win situation. 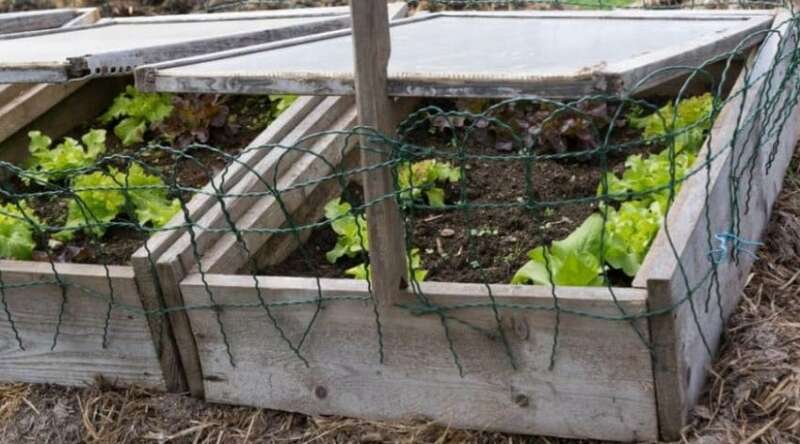 The benefits far outweigh initial start up cost for your own bin, and if you are a DIY-er like myself, getting few used pallets and lining for the sides is an inexpensive alternative to a commercial compost creation. From soil structure, water retention, toxin breakdown, and nutrient increase, compost is a natural fertilizer that all your vegetation will thank you for no matter how you decide to add it into your gardening routine. If you have any questions, or helpful composting tips you’d like to share, please comment below. And as always, please share with your friends!